1. 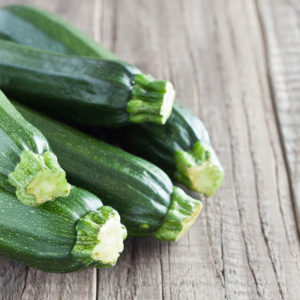 Cut zucchinis into 1½-2 inch rounds. Hollow out the center of each round to make it look like a cup, leaving about 1/8” flesh at the bottom of the cup. 2. Dice the removed flesh. 3. In a large skillet, heat olive oil over medium heat. Add zucchini flesh and ⅓ cup onion. 4. Sauté for 3 minutes, then add garlic and ½ teaspoon salt. 5. Sauté for 1 minute, then stir in 2½ cups tomatoes. Turn off heat. 6. In a medium mixing bowl, add remaining ⅓ cup onion, ½ teaspoon salt and 1 cup crushed tomatoes, along with ground beef or turkey*, rice, allspice and cumin. Stir to combine. 7. Spoon the filling into each zucchini cup to the top and place each cup in the tomato sauce, meat side up. 8. Cover skillet, turn heat to low and simmer for 55 to 60 minutes or until a food thermometer reads 160°F when placed in the center of the stuffed zucchinis. 9. Remove from heat and garnish with fresh mint immediately before serving.